With 80% hangup rates on voicemail, you can’t afford not to have an answering service in place to take calls when you can’t. But is it as simple as just routing calls to a center and watching the dollars roll in? Definitely not. 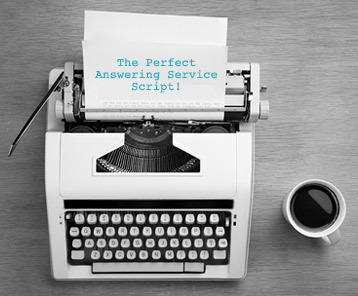 Your answering service will only be as good as you make them — and it all starts with the proper scripting. With the right words in front of them, agents will have great success. However, with poorly written scripts, calls can go sideways… and quickly. 1). Keep It Simple Stupid (KISS). You’ve heard this expression a million times, but with answering service scripting it’s absolutely critical. Remember that agents taking your calls on any given day have already answered phones for over 100 different businesses within a 24 hour period. Therefore, they don’t have much time to get familiar with each individual script. That’s why your scripts have to be written so simply that anyone could read them perfectly on the first take. So remove the hard-to-pronounce words, difficult phrasing, long-winded questions, etc. Cut everything down to a minimum — and before you launch a script, have friends read it cold first to see how they do. If they struggle with it, chances are so will the agents at your service. 2). One size does not fit all. 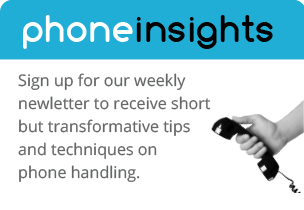 Most answering services will force you to use one generic “I can take a message” script for all of your different call types — that’s a big mistake. Instead, you need to use different scripts for the different types of callers that will be calling your business. For example, if the caller is a new prospect ready to book an appointment on the spot, the agent should be able to handle that. However, if the caller needs more information about your services before doing business with you, then the agent should be able to ask a series of questions in order to pre-qualify the lead. In other words, use multiple scripts so that each caller is handled with a specific plan. Don’t make the mistake of assuming that as long as the agent takes a message, everything will be fine. Your callers have a short attention span and will shop around if they feel it’s taking too long to perform simple tasks. So empower your agents to take action, and make sure the action is what your callers want. 3). Fine-tune, fine-tune and fine-tune some more. While your scripts may seem perfect in your head, there’s no way of telling how good they will be until you hear them performed by agents on a big enough sample of callers. We’ve spent hours writing scripts we thought were bullet-proof, only to find out they had more holes than swiss cheese! Record your calls, listen to the areas agents are stumbling on, fine-tune the wording until the scripts flow perfectly (with as little words as possible), etc. It may take you 7 or 8 reiterations of each script before they’re done – and thats ok. Don’t get discouraged, it’s just part of the script building process. NOTE: If you are in the market for an answering service, or your current answering service doesn’t allow you to use multiple scripts, make real-time changes, etc., get in touch with us! YesTrak is revolutionary, and we’d love to show you what we can do.